American Association For Taxi Cabs (AATC). 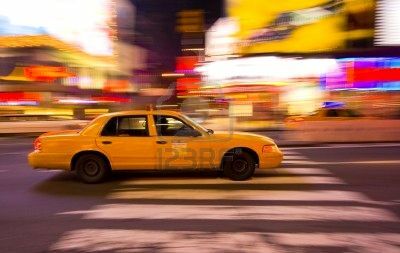 Taxi-Cab drivers in the United States have for more than a century since they have been fighting an illegal monopoly, bad regulation by local governments, and unfair competition. They usually must drive unsafe vehicles and stay 12 hours, 16 hours or 20 hours on the road per day in order to make ends meet. This situation often puts their life, as well as their passengers, pedestrians, and other vehicles in danger. The main cause of this problem is that local governments that are primarily responsible to regulate the taxi-cab industry refuse to issue the drivers a permit which we call, a medallion. Because of that, cab drivers are obligated to pay $20,000.00 to $50,000.00 a year from their annual revenue for their leases in order to continue driving the licensed vehicle. Most of them assert they do not even make one-third of what they pay to the companies. Such annual income is sometimes well below poverty level. “Medallion” is the name of the permit and the name of the for-hire license registration number for the taxi-cab vehicle, like “N” number is the name of the for-hire license registration number for aircraft, and the USDOT number is the name of the for-hire license registration number for a commercial vehicle like a truck, bus, etc. Today, in the best interests of the public and to guarantee a strong national economy, under the umbrella of U.S. Bill of Rights, Fifth and, Fourteenth Amendments and Commerce Clause of U.S. Constitution as well as the Universal Declaration of Human Rights of, the United Nations, we the people of United States of America seek equal rights in the transportation industry and seek the deregulation of taxi-cab medallions as well as of the entire taxi-cab industry. We strongly believe that the hack license number or chauffeur’s registration number or operator’s license number of the cab driver should also be the medallion number or permit number of the taxi-cab driver, and the licensed vehicle should be operated only by the taxi-cab driver it was assigned to. The challenges we face today in this Twenty-First Century, range from deregulation, putting eight passenger seat hybrid vehicles on the road, low taxi-cab fares, lobbying Congress, fair competition and trade, vehicle safety, and several other great solutions that will help us change the economy of our nation. We deeply believe that with the help of our members, our supporters those in the field of human rights, as well as believers in the rule of law, this association shall succeed. Our key to success will be each of us getting involved and doing their share.